Whether you work in a private corner office, a public workstation/cubicle or in the privacy of your home, you need a (humorous) escape hatch. Comic relief should always be readily available (and prescribed as needed). I think laughter is the great tranquilizer – it’s free and has no side effects or downside, unless timed inappropriately. The Far Side Sounds Like the Name of a Corporate Cult: The undisputed king of single-panel syndicated humor (from 1980 – 1995) was Gary Larson, creator of The Far Side. Clearly he felt compelled to transform human-being archetypes into their animal-like counterparts (dogs, cats, chickens, etc.). In particular, cows were the CEOs and intellectuals of Larson’s cartoon cosmos. If you’ve never experienced The Far Side’s sly humor regarding common themes of unfairness and irony in the world, sample some of his “retired” greeting cards. But to enjoy an unabashed laugh in the privacy of your office/cubicle/desk rented by the hour, you must try a Far Side book anthology. Dilbert Is a Prime Candidate for a Business Fashion Makeover: I think most of us business bees relate well to the genius of Scott Adams’s corporate humor because he started his professional life as a lowly office dweller. How else could he earn the right to mock upper management and characterize outside consultants as devilish dogs and conniving cats? Adams’s white-collar gigs included: management trainee, computer consultant, budget analyst, commercial lender, product analyst, and supervisor. Many Dilbert characters, such as the Pointy-Haired Boss (never given a name, deliberately), Wally, Alice and Dogbert, were inspired by people/personalities with whom Adams worked while at Pacific Bell (1986 – 1995). If you need a fix of offbeat business humor, start with the 1996 cartoon collection that is Adams’s Rosetta Stone: The Dilbert Principle. Intermittently, Scott Adams also writes hilarious opinion pieces for the Wall Street Journal, Time magazine, etc. The Tiger in Calvin and Hobbes Is the Ultimate HR Manager: The no-longer-syndicated Calvin and Hobbes comic strip used a defiant six-year-old boy and his more rational, stuffed tiger toy as its main mouthpieces. 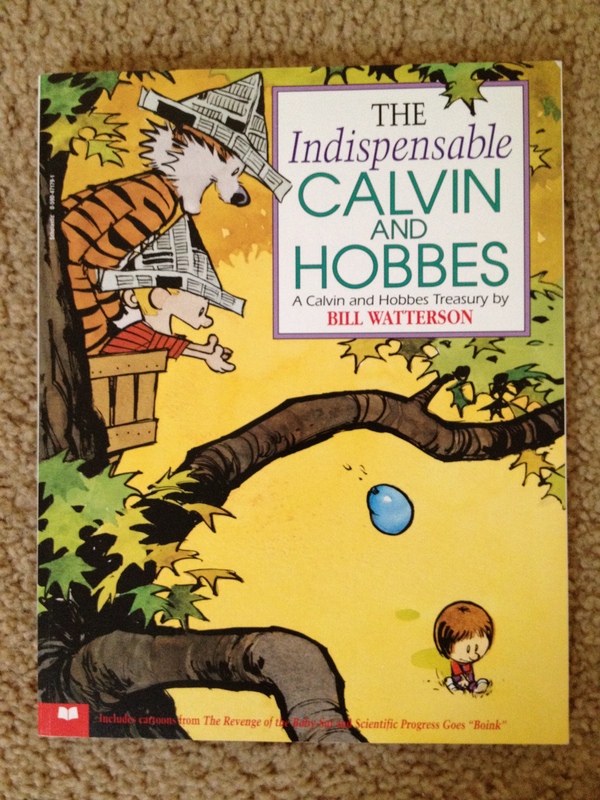 But trust me, there is nothing childish about Bill Watterson’s subject matter. 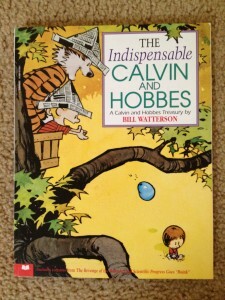 It took a job loathed by Watterson (in advertising) to give birth to the idea of having a little boy and his tiger tackle serious issues, including: environmentalism, public education, philosophical and moral dilemmas, and the unreliability of opinion polls. I would expect nothing less from a humorist who named his two star characters after John Calvin (16th century French Reformation theologian) and Thomas Hobbes (17th-century British political philosopher)! The Business Comic Strips Site Is Your Business Humor Payday: For those of you looking to track down previous or unknown talent in the comic strip world, fear not – I struck gold during an oh-so-casual Google search. A site called The Comic Strips has a sub-page, The Business Comic Strips, with a huge collection of recent and seasoned funnies. You can even send one of the designated comic strips as an e-card to a beloved business buddy who shares your twisted sense of humor. This one is definitely bookmark-worthy, so laugh it up while your boss is on vacation. Thanks again Lori for your business insights . . . I do follow this advice – regularly – with Calvin & Hobbes and Far Side material. I miss my annual Far Side calendar I used to receive every Christmas from my brother. . .